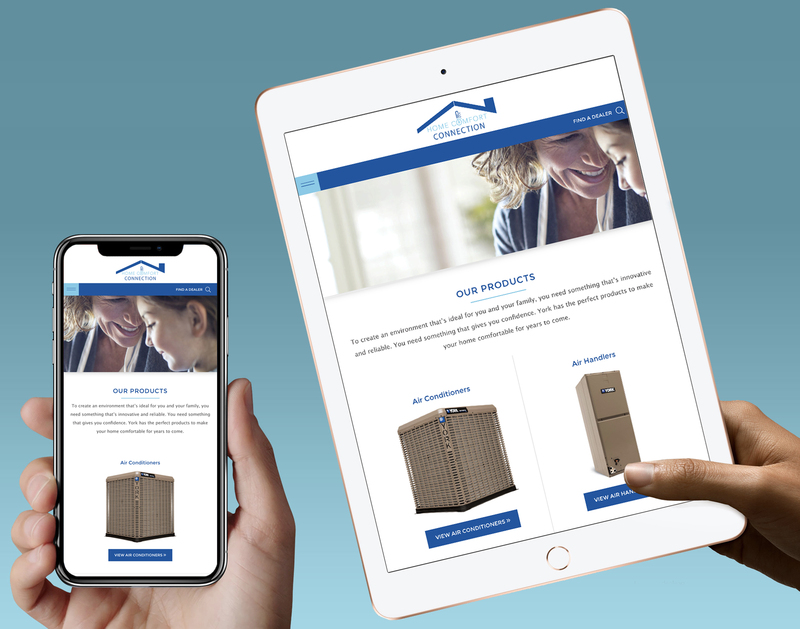 M & A Supply Company, a Nashville-based wholesale distributor and manufacturer of HVAC equipment and parts, retained the Westwood team to develop an interactive website to support its sales team and to make it easier for the company’s customers to find local dealers and distributors. The newly-launched website looks terrific on all mobile devices and its simple search function is quick and easy to use. This clean, modern website invites visitors to learn more about the York HVAC product line and to find a local dealer. Developed with a keen eye for user interface and user experience, the Home Comfort Connection website is easy to navigate and imparts information in a clear, succinct fashion. Today, nearly half of all web page views come from mobile devices. Because more and more users are browsing on the go, it’s critically important for companies to develop websites that look, feel, and operate as seamlessly on mobile devices as they do on full-size computer screens. 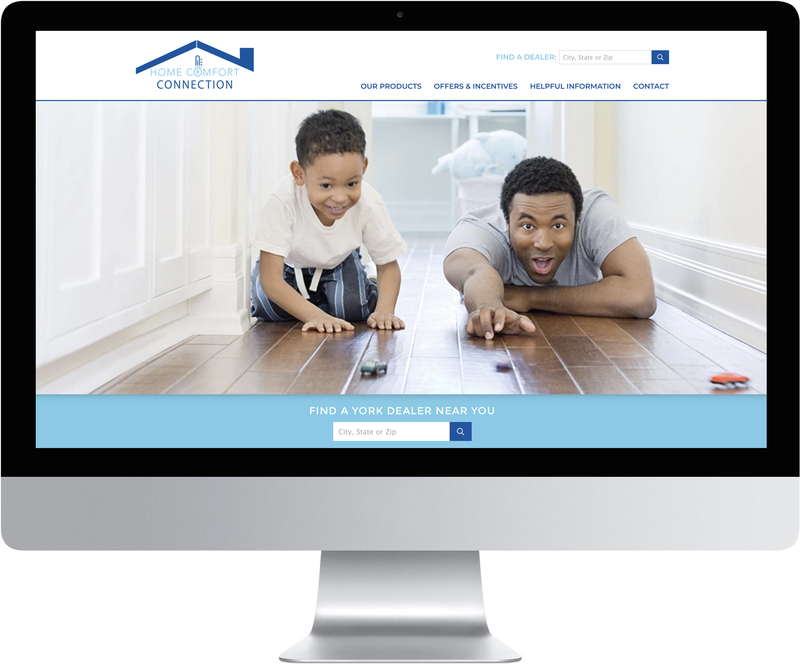 Our team developed the Home Comfort Connection website with the needs and search habits of today’s buyer in mind.